Krewella In Studio With Fall Out Boy? 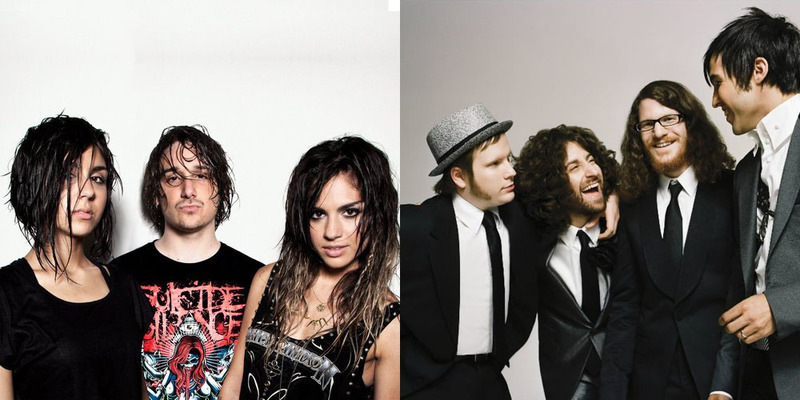 It seems that rising stars of the EDM scene, Krewella, and overall fan favorite Fall Out Boy may be spending some time together lately. A video was posted yesterday April 28th, that seems to show Patrick Stump nodding enthusiastically to his vocals recorded over a typical Krewella dubstep track. While this potential collaboration may turn some heads, it isn’t so far-fetched seeing as Fall Out Boy has worked with a variety of different artists including Lil Wayne, Pharell Williams, and just recently Elton John. The members have all dabbled in their own side projects such as Pete Wentz’ short-lived electro outfit Black Cards, and Stump’s soulful solo career that was known to feature some electronics as well. It is hard to see this being a hoax, because Stump’s vocals and Krewella’s musicianship are so distinct and recognizable. Krewella is has been blowing up in a big way, and this certainly won’t hurt their hype or popularity. In fact, this is an exciting and ambitious collaboration that will hopefully start a trend of bridging genres and incorporating real and well-produced dubstep into a more pop setting.